Oh- I love this layout! The colors are perfection! Love the way you used the paper to frame your layout! Such a precious page!!!! and big congrats to Madeline!!! LOVE this! I need to remember to frame my page the way you did. I love this little layout, not quite spooky so works great for several themes! Such an amazing layout, I love the frame!! LOVE the torn paper frame, what a great effect! Gorgeous layout. Love the torn frame you made, great layout. I LOVE this one Mary Ann!! Such an awesome use of the Authentique collection!! 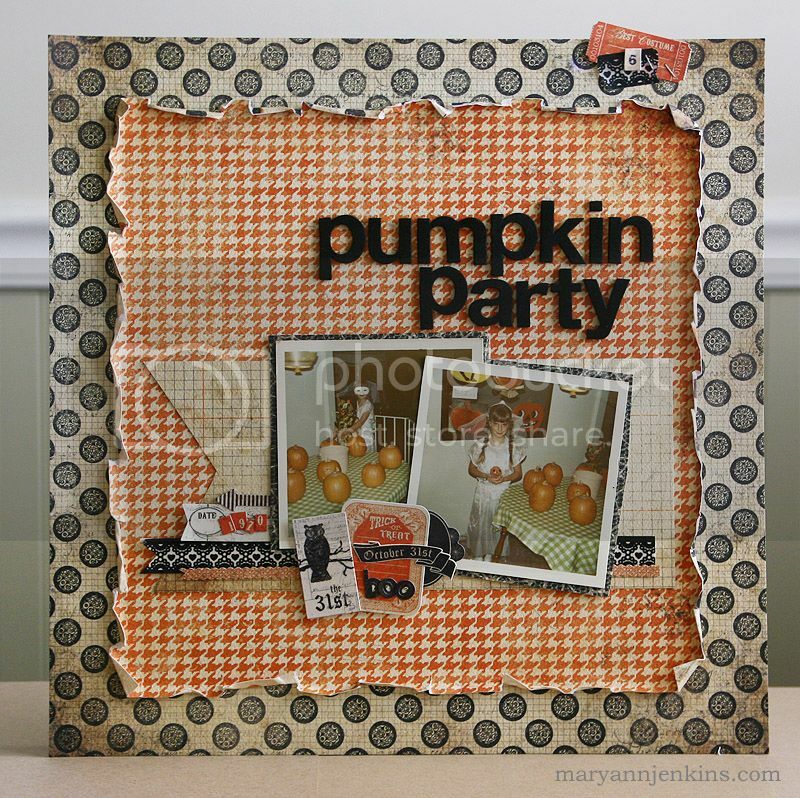 Awesome page, Mary Ann! Great distressing!